Don't Miss the Tanger Outlets Presidents Day Weekend Sale! Shopping in Branson will be more fun if you do it during Presidents Day Weekend Sale this coming February at Tanger Outlet Mall. Don’t miss the chance to get new stuff at a very affordable price. Enjoy extra winter savings during Tanger’s Presidents Day Sale from February 17 to 20. It’s time to shop at your favourite brand name outlet stores. Presidents Day marks the birth anniversary of George Washington. It is the day that honors the service and efforts of all U.S. Presidents. Throughout the entire weekend, many stores across the country will be holding major sales to celebrate Presidents Day. If you are in Branson during this time, you will be in for a treat at some retailers. Tanger Outlet Center is a great place to share the love in February. Experience the three ways to share the love from February 7th through 14th. First is to visit your favourite center to enter to win a $1,400 Yves Delorme luxury bedding set and a $500 Tanger Outlet shopping spree. Second, you should be on the look out while you shop – you could be a lucky recipient of a prize from the local Tanger Share the Love team. The third one is to share your #tangerlove with friends. Visit their Facebook page to enter to win daily prizes by simply sharing #tangerlove with your friends. You can shop the days before Presidents Day Weekend Sale at the Tanger Outlet Center. This popular shopping place is sure to be an exciting place during this big sale weekend. 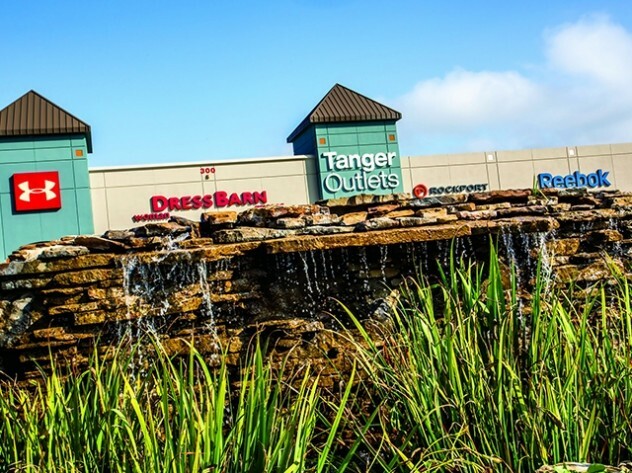 Some of the stores at Tanger Outlet that you can shop during this weekend shopping in Branson include the Nike Factory Store, the Ann Taylor Factory Store, Polo Ralph Lauren, Eddie Bauer, Banana Republic, and over 100 more shops. You can also fill in your hungry tummy here at some fine dining spots such as the A&W Restaurant, Fudgery, King Subs, and many others. Many bargain hunters of brand names all across America will be exercising their Right to Save Plenty during the Tanger Outlet Center in Branson’s Big Presidents’ Day Sale Saturday, February 17 through Tuesday, February 20. This annual shopping event at Tanger Outlet Center features four days of bonus outlet savings on the latest winter fashion trends and styles for the whole family, from many of the upscale brands. Before heading to Tanger Outlet Center, visit tangerout.com first and view a list of all your favourite brand name and designer outlet stores. If you want to celebrate Valentine’s Day before enjoying great shopping on Presidents Day Weekend Sale at Tanger Outlet Center, the award-winning Chateau Grille at Chateau on the Lake is inviting couples to dine with them for a special Valentine’s Day dinner. Reservations are recommended and a fabulous gourmet meal will be offered at $150 per couple or $75 per person. Roses will be given to all the ladies during dinner. Presidents Day Weekend Sale at Tanger Outlet Center offers a great opportunity for visitors to enjoy affordable shopping in Branson this coming February.